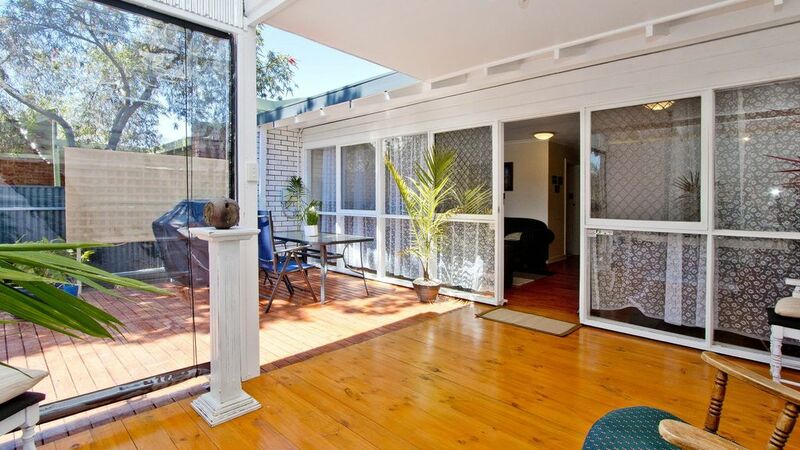 Relax on the deck while taking in a courtyard garden which is private and peaceful. There are 2 b/r's with a queen and a double beds, updated bathroom and kitchen. The pavilion room has been recently added providing an outdoor weather protected area. Reverse cycle A/C. Wifi. Secure parking. Stroll to the funky cafes and bars on Prospect Rd or walk through the parklands for a movie and dinner in North Adelaide. Cinemas coming to Prospect Road soon. The wonderous Adelaide Oval is a 4 minute taxi ride, easy bus trip or a lovely walk. (footy fans will be walking too). From there, over the River Torrens to the city. Easy as! Yours to try. You won't be disappointed, especially as it abuts North Adelaide but not with the price tag. Longer stays are fine and can be negotiated. Comfortable accommodation in a nice quiet area close to local eateries and cinemas. Lovely tree lined streets in area and park lands and swimming complex nearby. Bus to city around the corner. Host was great. Tom has certainly picked the ripe fruit of the area with his comments. Lovely to feel my guests have enjoyed my home and this close-to-everything locality. Come again Tom. Thank you Jackie. I hope your return to grass roots in South Australia is emotionally enjoyable and interesting country for partners. Thank you for choosing my home to call your home for a few days. Lovely property in a great location! We thoroughly enjoyed our stay here, the terrace had everything we needed and more. Bus stop at the end of the street, but an easy walk to the Adelaide Oval if preferred. Wouldn't hesitate in recommending this delightful terrace! Thank you for your kind words, Anne. I'm glad the location suited your requirements and you found the property comfortable. Would love to have you back anytime. A wonderful welcome by Richard was much appreciated. The property is a neat, well appointed and located one, which suited our family's needs during the Tour Down Under. Great secure parking and we also loved the air conditioning, which is a must in the Adelaide summer. Adelaide sure knows how to put on an event and it was lovely to return to Richard's home after a long day on the bikes, or in the car following the tour. If we decided to leave our private transport at home, there was a very convenient bus route at the end of the street (100m), which dropped us right in the middle of the city (15 mins). Richard also left us his corporate tickets to Carrick House, which my daughter and I thoroughly enjoyed visiting. He was also very easy to communicate with prior to and during our stay. We really loved the house and everything Adelaide had to offer and cannot wait to return.